Working sheet with the features of the region, Educ. dept. Of the Terezin Memorial. Basically, there are two types of worksheets newly available for study during the educational programs for elementary schools and lower grades of high schools at the youth seminars, prepared by the Memorial´s Department of Education. 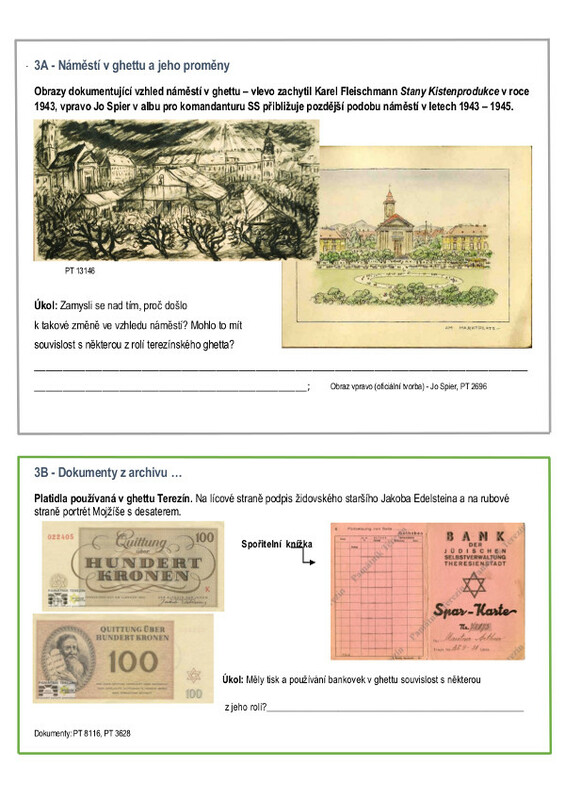 The first kind of the new worksheets serves for interconnecting the region in which the individual students live with the former Terezín Ghetto. At their disposal are 15 worksheets relating to the individual assembly points in the former Protectorate from which Jewish transports were leaving for the Terezín Ghetto. One specific worksheet is also devoted to the border regions seized by the German Third Reich following the Munich diktat. 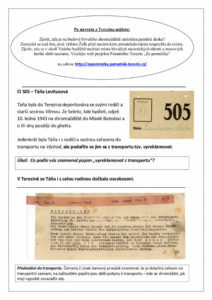 The students will be given a copy of a transport list with the task of finding for themselves, under a specific number, one person about which they will try to get more information from the available personal documents or Holocaust survivors´ testimony. 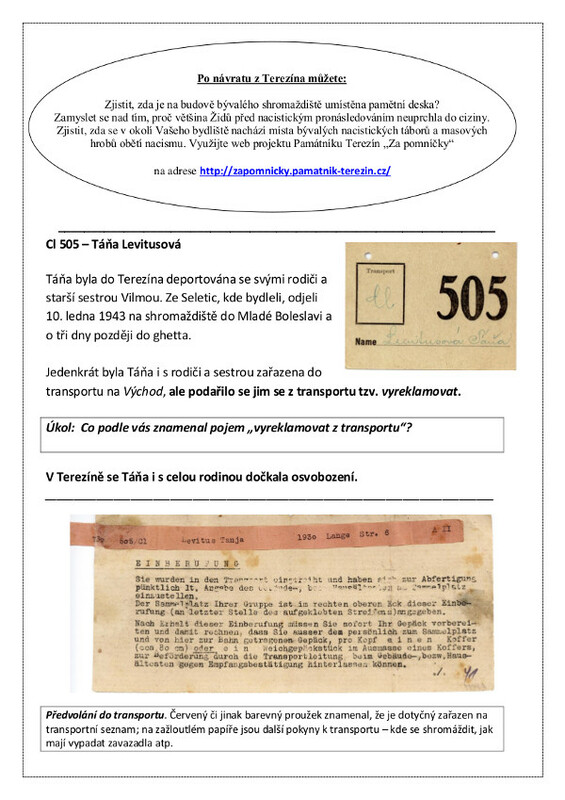 The other type of worksheet has been prepared for work during visits to the former Ghetto and is focused on providing additional information on the Ghetto´s key functions – notably as a reception and transit facility, as a decimation camp, and a source of Nazi propaganda. 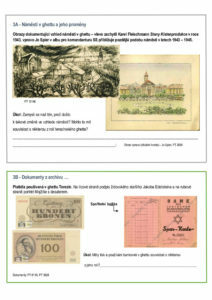 To be found in the worksheet will be various documents, excerpts from the Ghetto´s youth magazines and diaries, paintings made in the Ghetto, photographs etc. The pictorial section is supplemented with assignments relating to the given pictures, all this helping to recreate the atmosphere of the Ghetto. TEREZÍN GHETTO 1941 – 1945.